It is so hard for me to write about solid food right now while I’m doing a juice cleanse. It feels like a form of torture. 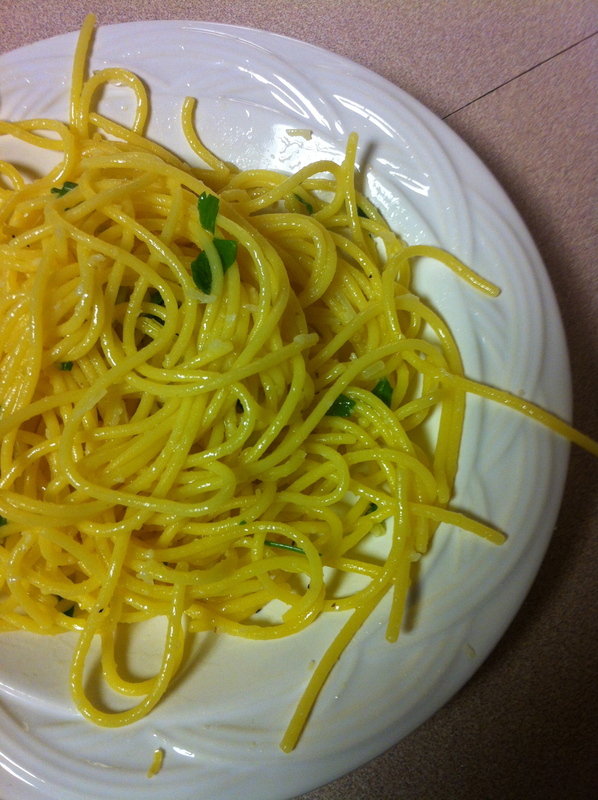 However, this recipe for Gluten-Free Lemon Pasta is so tasty I just had to share it. Of course, if you follow With Style & Grace then you’ve already heard of this I’m sure. This was the first time I tried corn based pasta. It was really good I have to admit. Usually I just substitute quinoa, spaghetti squash or spinach in pasta dishes, but I’m thinking this might be my new alternative. For a college student on a budget, I couldn’t have asked for a more simple, healthy meal. 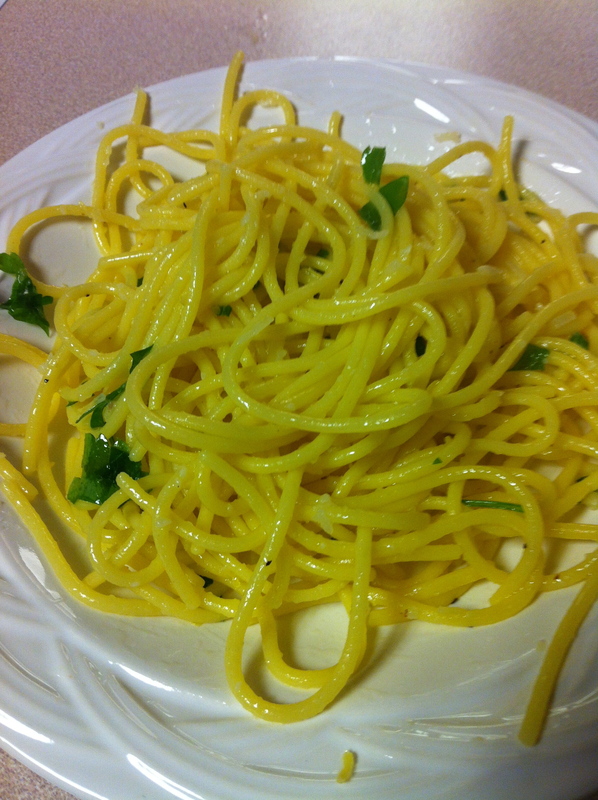 It’s much lighter than typical pasta dishes making it great for spring and summer. Cook pasta as directed. Drain pasta and return to pot. In a small saucepan, heat olive oil and butter. Add garlic and cook until tender or fragrant. 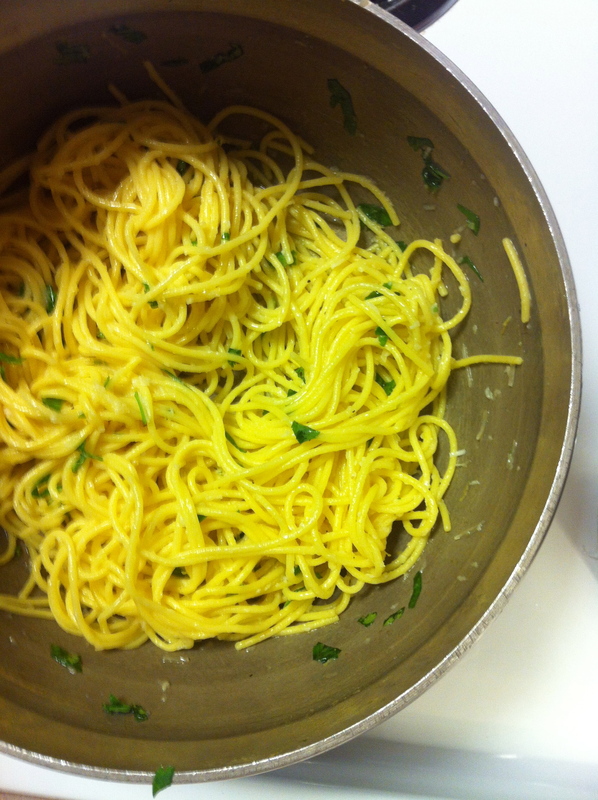 Add pasta to oil and garlic mixture and then toss with parsley, lemon zest, lemon juice, salt and pepper.